You may already be competent in some of these areas. Or, you may feel you need to learn or improve on all of them. This book is designed to help you either way. The pretest will pinpoint those critical thinking skills you need help with, and even direct you to the lessons in the book that teach those skills. The lessons themselves not only present the material you need to learn, but give you opportunities to immediately practice using that material. In Lessons 1 and 2, you will learn how to recognize and define the problems you face. You will practice prioritizing problems, and distinguishing between actual problems and their symptoms or consequences. Lesson 3 shows you how to be a better observer. 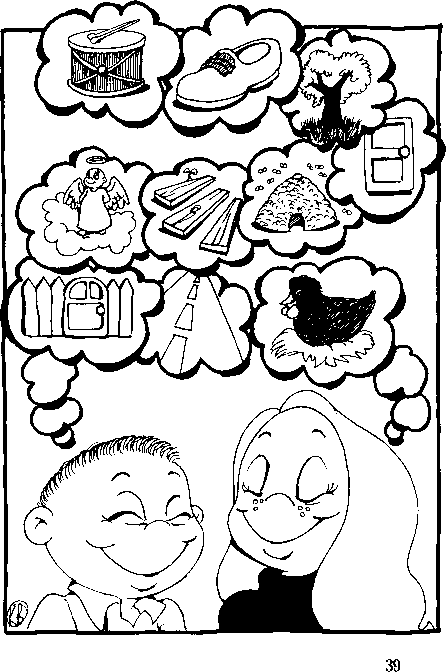 When you are aware of the situations and contexts around you, you will make good inferences, a key to critical thinking skills success. In Lessons 4 and 5, you will learn how to use graphic organizers such as charts, outlines, and diagrams to organize your thinking and to set goals. These visual tools help to clearly define brainstorming options and lead you from problems to solutions. Lesson 6 is about troubleshooting. This skill helps you to anticipate and recognize problems that interfere with your goals. Effective troubleshooting removes setbacks and keeps you on task. Lessons 7 and 8 explain how to find the information you need to make sound decisions, and how to evaluate that information so you don't end up relying on facts and figures that aren't accurate. You will specifically learn how to judge the content of websites, which are increasingly used for research, but can be biased, misleading, and simply incorrect. 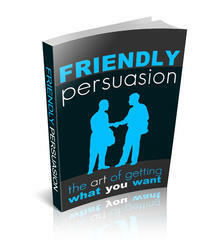 In Lesson 9, you will get a lesson in the art of persuasion. Not only will you be able to recognize when it is being used against you, but you will find out how to implement persuasion techniques effectively yourself. Lesson 10 is about numbers, and how they are manipulated. Surveys, studies, and statistics can look important and truthful when in fact they are meaningless. You will learn what makes a valid survey or study and how to watch out for their invalid counterparts. In Lesson 11, the topic of emotion, and its effect on critical thinking, is explored. You can't think reasonably and rationally if you allow yourself to be affected by bias, stereotyping, stress, or your ego. Learning how to keep these emotional responses in check is one of the best ways to improve critical thinking. Lessons 12 and 13 explain deductive reasoning, one of the two forms of logical argument covered in this book. You will learn about deduction and how to tell the difference between valid and invalid deductive arguments. Logical fallacies such as slippery slope and false dilemma are explored. Lessons 14 and 15 are about inductive reasoning. You will learn how to construct a valid inductive argument, and how induction is misused to create logical fallacies such as confusing cause and effect, and making hasty generalizations. Lesson 16 shows you other ways in which logical arguments are misused intentionally to distract. Fallacies such as the straw man, red herring, and ad hominem are explained, and you are given many practice exercises to help reinforce the lesson. In Lesson 17, you will learn about judgment calls. These are difficult decisions in which the stakes are high, and there is no clear-cut right or wrong answer. Understanding how these decisions should be approached and how to evaluate risks and examine consequences will improve your ability to make judgment calls. Lesson 18 teaches you about good explanations, what they are, and when they are needed. Since it is important to be able to distinguish between explanations and arguments, you will learn some key differences between the two and use exercises to practice telling them apart. The beginning of this introduction discusses the use of critical thinking questions on exams—both for higher education admissions and on the job. In Lesson 19, you will learn about theses tests, see exactly what such questions look like, and get to practice answering some of them. Lesson 20 summarizes the critical thinking skills that are taught in this book. It is a valuable tool for reinforcing the lessons you just learned and as a refresher months after you complete the book. It is followed by a post-test, which will help you determine how well your critical thinking skills have improved. For the next twenty days, you will be spending twenty minutes a day learning and improving upon critical thinking skills. Success with these skills will translate into better performance at school, at work, and/or at home. Let's get started with the pretest. Good luck! This test is designed to gauge how much you already know about critical thinking skills. Perhaps you have covered some of this material before, whether in a classroom or through your own study. If so, you will probably feel at ease answering some of the following questions. However, there may be other questions that you find difficult. This test will help to pinpoint any critical thinking weaknesses, and point you to the lesson(s) that cover the skills you need to work on. There are 30 multiple-choice questions in the pretest. Take as much time as you need to answer each one. If this is your book, you may simply circle the correct answer. If the book does not belong to you, use a separate sheet of paper to record your answers, numbering 1 through 30. In many cases, there will be no simple right or wrong choice, because critical thinking skills involve making the most reasonable selection, or the one that best answers the question. When you finish the test, use the answer key to check your results. Make a note of the lessons indicated by each wrong answer, and be sure to pay particular attention to those lessons as you work your way through this book. You may wish to spend more time on them, and less time on the lessons you have a better grasp of.